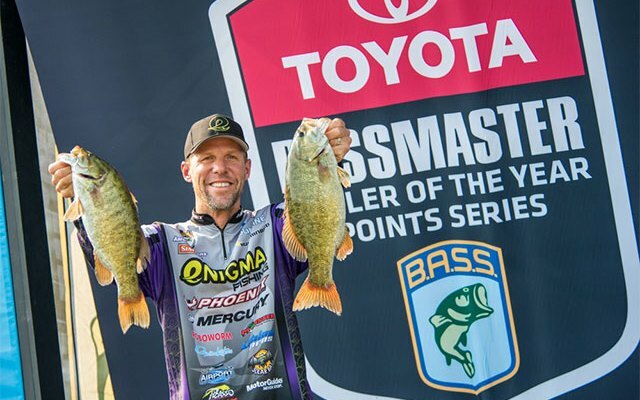 DETROIT — Aaron Martens slept through his alarm clock Sunday morning, got on the water 30 minutes late and still clinched the 2015 Toyota Bassmaster Angler of the Year title three weeks early. The final AOY standings won’t be determined until the Sturgeon Bay event, but going into it, Dean Rojas is second with 601 points, Justin Lucas is third (598), Jacob Powroznik is fourth (565) and Edwin Evers is fifth (564). There will be 35-plus 2016 Bassmaster Classic berths decided by the final AOY standings after Sturgeon Bay.